Tom Cruise is a lot of things. An A-list actor. One of the highest paid stars in Hollywood. Super-tight with Xenu. He’s also the closest thing the action movie scene has to Usain Bolt. About as dominant of an on-screen sprinter as they come. Sure, other actors may be better at delivering monologues, or crying on cue, or not having problematic personal lives. But when it comes to running away from trouble (or headlong into it), no one does it better than Cruise. Would-be action heroes could/should take graduate-level courses studying his compact, arm-pumping, karate-hand gait. Instead, we’re going for a deep dive into something far more important: ranking how Cruise’s Mummy reboot stacks up against his own unparalleled cinematic oeuvre… of running away from guys with guns/explosions/tentacled aliens hell-bent on humanity’s destruction. What He’s Running From: The Lord of Darkness’ minions, the wardrobe department. Degree of Difficulty: Point: it’s not easy to look cool frolicking in wooded glens and running around in a golden tunic and no pants. Counterpoint: Cruise doesn’t. What He’s Running From: The opposing team, becoming a Western Pennsylvania townie. Degree of Difficulty: A 21-year-old Cruise channels vintage Marshawn Lynch as he shrugs off would-be tacklers on his way to the end zone. But he loses a few points considering A) no one can ever tackle in high school football, and B) that could be anyone under that helmet. What He’s Running From: Ireland, his love interest’s would-be suitor, the harsh reality of the American immigrant experience. Degree of Difficulty: Cruise had run in movies before. But this was the first time he’d been asked to run while doing a passable Irish accent. It would also be the last. This is not a coincidence. What He’s Running From: The Japanese Imperial Army, cultural appropriation, White Knight syndrome. Degree of Difficulty: Normally, even a recognizable star like Cruise might get lost in a massive, chaotic charge like this, but for some reason, my man really sticks out. And not in a good way. 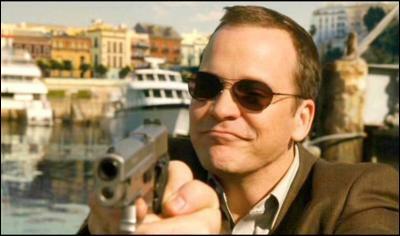 What He’s Running From: The CIA, a Spanish arms dealer, a helicopter, smug Peter Sarsgaard, his own fading star power. Degree of Difficulty: Mostly generic chase scenes drops this one down the ranks, but maybe the most disappointing part? This movie gets Cruise to Pamplona for the running of the bulls and then puts him on a motorcycle. What a waste. What He’s Running From: “Alien” “scavs,” repressed memories, drones, an oversized budget and thin script. Degree of Difficulty: Oblivion’s a little underrated as far as “poorly-performing, big-budget sci-fi blockbusters starring Tom Cruise” go, but it’s not exactly jam-packed with memorable moments. It does feature Cruise running on a treadmill though, so there’s that. What He’s Running From: His past, a scenery- and finger-chewing Werner Herzog. Degree of Difficulty: Cruise has no trouble running from the cops or the usual bad-guys-with-guns. He has a little more trouble running from the persistent criticism that he’s way too short to credibly play the 6’5”, 225 lb Reacher described in Lee Child’s books. What He’s Running From: Being set up (again), fatherhood, the unintentional irony of that subtitle. Degree of Difficulty: Cruise takes a few nice running leaps while meting out his “particular brand of justice” in the Reacher sequel, but hands down, the toughest thing he has to do in this movie is dodge drunken partiers in a chase through New Orleans streets, mid-parade. What He’s Running From: Crippling fears of intimacy, commitment, years of rom-com cliché. What He’s Running From: A rogue IMF agent, a dangerous MacGuffin biological weapon. Degree of Difficulty: It’s a John Woo movie, which guarantees a minimum of one running-through-birds-in-slow-mo scene. Ever tried walking through a flock of pigeons? It’s not easy. Plus, that terrible haircut ain’t exactly helping Cruise’s aerodynamics. What He’s Running From: Giant neon billboards, personal demons, one seriously bad dream, a tenuous grasp on reality. Degree of Difficulty: On a normal day, trying to run through Times Square would be an exercise in futility. You’ve got bumper-to-bumper gridlock, aggressive cabbies, gawking tourists, creepy Elmos. But running through one of the busiest strips of asphalt in the entire world without so much as a single other living soul around? It’s practically cheating. What He’s Running From: Hired goons, his shady employers, comparisons to the Grisham novel. Degree of Difficulty: If you’ve ever had to race to make a meeting, you already know how difficult it is to run full out in a suit and dress shoes. Cruise does it while navigating crowded escalators, rush hour traffic and commuters, all without ever dropping his briefcase. Respect. What He’s Running From: A CIA mole hunt, treason charges, twenty-to-life in some underground government black site. Degree of Difficulty: It’s practically – wait for it – impossible to make running away from an exploding fish tank look badass, but thanks to Cruise, it’s actually kind of awesome here. Compared to some of the franchise’s later stunts though, the wall of water and flopping fish look downright quaint now. What He’s Running From: A 5,000-year-old mummy, hordes of undead, a massive cloud of broken glass, the memory of the Brendan Fraser movies. Degree of Difficulty: Cruise is in vintage form here, and in Annabelle Wallis, he’s finally got a co-star that can keep up. The only thing that keeps The Mummy from ranking higher is the fact that Cruise’s mostly just running away from millions of dollars’ worth of CGI. So, bursts of compressed air and tennis balls on sticks. Meh. 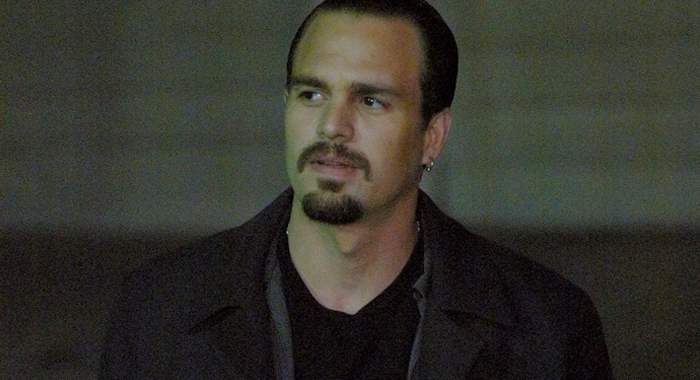 What He’s Running From: The LAPD, the FBI, typecasting, Mark Ruffalo’s skeezy goatee. Degree of Difficulty: Cruise is actually the one doing the chasing for most of the Michael Mann cat-and-mouse thriller, but put it this way: most people don’t even know LA has subways, let alone how to run to catch one. Plus, bonus style points for channeling the T-1000 as the unrelenting, icy hitman. What He’s Running From: His former colleagues, the Department of Justice, being convicted of a crime he hasn’t committed (yet), the fallout from his real-life second divorce. Degree of Difficulty: Cruise outruns self-driving cars, cops with jetpacks, the concept of destiny versus free will, and thanks to an assist from Spielberg, he’s never looked faster while doing so. What He’s Running From: Alien hordes, his fellow soldiers, the very fabric of time itself. Degree of Difficulty: Cruise had to run over and over (and over and over) again, thanks to the Groundhog Day-esque premise. And I don’t care if that bulky mech suit was made out of foam and fiberglass, doing that many takes in an unwieldy prop costume can’t be easy. What He’s Running From: Chechen terrorists, a shadowy criminal syndicate, the CIA (again), MI6. Degree of Difficulty: Just in case anyone out there wasn’t sure Cruise could still be a credible action hero over 50, he starts off the movie running down a moving plane, then tosses in a shirtless chase scene just for good measure. It’s the “Eff You season” of action movies. What He’s Running From: The Americans, the Russians, a sandstorm, the laws of physics. Degree of Difficulty: Cruise doesn’t just run away from generic henchman in this one or dodge oncoming traffic – he races down the face of one of the world’s tallest buildings, outruns a massive sandstorm, and runs away with the entire damn movie, refusing to hand off the keys to the franchise to poor Jeremy Renner. What He’s Running From: Giant alien “tripods,” friendly fire, a straight-up unhinged Tim Robbins, his failings as a father. Degree of Difficulty: Another Spielberg collaboration, another GOAT movie run for Cruise. This one has it all: panicked crowds of extras, exploding buildings, aliens firing lasers. Also, Cruise has to carry an 8-year-old Dakota Fanning for half the movie (literally, not figuratively). What He’s Running From: An international arms dealer, anonymous henchmen with automatic weapons, a helicopter (again), a public feud with a cartoon show. Degree of Difficulty: Cruise spends over half of this movie’s 125-minute runtime in a full-out sprint. He has to do parkour over parked cars, dodge (controlled) explosions, take a blind leap off a building, and runs straight up a goddamn wall. But the most impressive of all? This extended chase through a Shanghai market that seems to go on forever. Not only is he running with a phone to his ear (not easy! ), he also seems to be shouting in Mandarin (less easy!). It might just be Cruise’s magnum opus. At least, until next year. What’s More Expensive: a Private Island in Canada or a Decent-Sized Vancouver Condo?